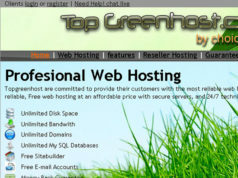 Webhostingstuff.com – The end of the Top 25……. as it was. 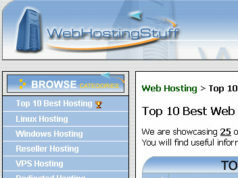 Back in April 2011 I missed it where webhostingstuff.com changed their front page layout. I found out just a few hours after doing a post on winhost.com. Winhost.com was clearly not happy about me talking about their relationship with webhostingstuff.com. A discussion that pretty amounted to “what top 25 list?”. Which lead me to get someone to get me a screen shot to see what was going on, after all webhostingstuff.com was still blocking me. Everyone that did screen shots for me told me the same thing, the top 25 was gone. Got to love it when a host tries to do a rebuttal without any proof they are right. For some reason I am not allowed an opinion, but hosts like this are allowed to do business with sites that claim they are one of the best hosts without any actually use. Regardless of the whole “what top 25 list”, I have tons of screen shots that showed there was one, and I offered to send winhost.com the unedited ones. I don’t post full screen shots of webhostinstuff.com for a very good reason. There is a lot of blank space on the bottom of their site. Below is an example. Perhaps I am guessing they want to give you a spot to make notes if you print it out, that is if you can get past the blocking. Per usual when I asked for where the ppc (pay per click) was located the discussion ends rather quickly. At first I was told it was like Google, though if it was I would be able to see where the ppc was. Interestingly enough you browse through webhostingstuff.com enough you will find Google Adsense. Which is a bit odd that they participate with Google’s ppc while having their own so called ppc system. In addition to changing how the top 25 works, categories have been added such as type of host and a few countries. It seems like a half hearty attempt to deal with other countries as opposed to a focus on U.S. hosts. Though it ultimately ignores several countries that are growing in their need for hosting. I have to say that this is a victory in a minor sense. But then again the increase in blocking is a victory. HOW does WebHostingStuff rank web hosts? The main engine behind WHSRank™ are the verified customer reviews published on WebHostingStuff.WHSRank™ uses these customer reviews to calculate a quality score for each web host. WHSRank™ uses these quality signals to calculate the quality score for each web host. Other quality signals used by the WHSRank™ algorithm include uptime performance. Which is still going on, but the new system only encumbers those that bid for top spots. Endurance International Group is back on Webhostingstuff.com? I suspect even though there is one host (ssa host) on the new front page that is clearly not a top host. 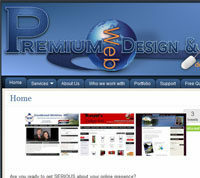 Most of the host that appear on the main page have a decent to high pay out affiliate program. I believe that the Endurance International Group hosts are only back up on webhostingstuff.com because they are up for affiliate commissions. Since I am blocked from my home its just a theory as I am unable to actually see if any cookies are put in my browser. 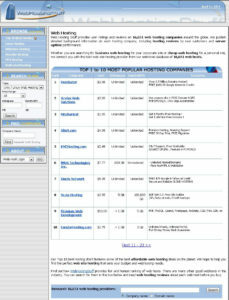 I have long suspected the only reason Hostgator.com has been on this list is because webhostingstuff.com is a affiliate and is not getting paid for the so called ppc system. Webhostingstuff.com is no longer my main focus, but that does not mean there will not be random reviews. As I stated in my last article, webhostingstuff.com has some pretty serious search engine ranking. More people may know what they are up to, but there are still many that do not. Regardless with how the system is now, I think it best to put my efforts in to other review sites. I am not saying I am no longer going to do reviews on webhostingstuff.com or the sites that appear on them. I am just saying its going to be random. There may be one or more months I don’t cover whats going on, on webhostingstuff.com. I may spend a whole month on webhostingstuff.com. But for now I think webhostingstuff has started what may be the end of their ppc system. 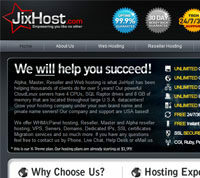 Next articleIxwebhosting.com – How legit are those video testimonials? Webhostingstuff.com, not every host that was a top host survives. 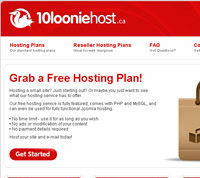 10looniehost.ca – You’re on the Best Host list for webhostingstuff.com, but something is wrong!!! 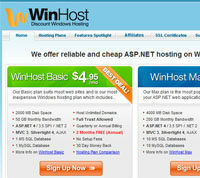 Winhost.com – Will a single review convince you?